Minta Medical have started to release their Minta® RF Electrodes containing a Unique Device Identification (UDI). UDI is the key to accessing a wealth of information for medical devices around the world. This information will provide global traceability and support various public health initiatives. Minta receives approval from BSI for their Quality Management System which complies with ISO13485:2016. Scope: The design and manufacture of sterile single-use and non-sterile reusable RF thermocouple electrodes and sterile single-use probes for percutaneous electrical stimulation of nerves. 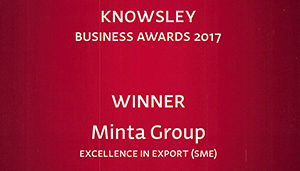 Minta Medical awarded exclusive supply agreements for some of the worlds leading RF Generators. Minta Medical have verified compliance with the Good Manufacturing Practices (GMP) for class 3 medical devices, according to current legislation in Korea. 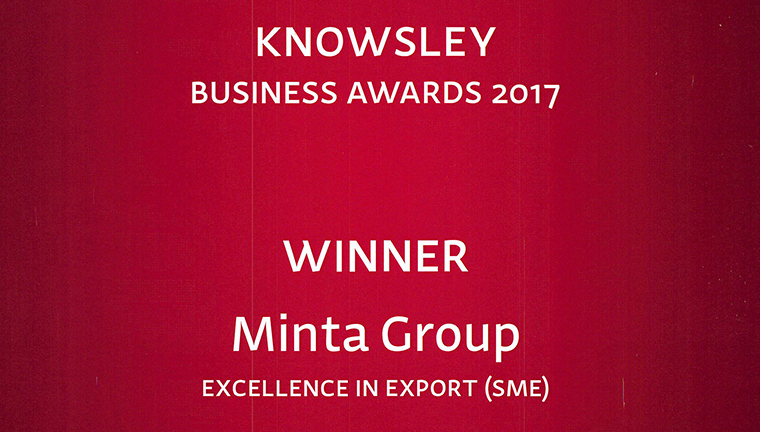 Minta win prestigious 2017 Knowsley Business Award for Excellence in Export, sponsored by Liverpool John Lennon Airport. Minta Medical have verified compliance with the Good Manufacturing Practices (GMP) for Health Products, according to current legislation in Brazil. Minta Medical’s most recent Post Market Surveillance (feedback) has once again shown excellent results from customers worldwide. Minta Medical monitor their customer’s satisfaction on a regular basis and once again the latest results have shown that it remains at a very high level for both Quality & Service. Minta® RF Disposable Cordotomy Electrodes (Class III) were reclassified from Class IIb to Class III in March 2010 due to 2007/47/EC.